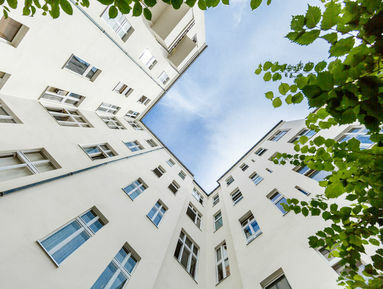 A home like this is one of the most sought-after types of apartment in Berlin, above all for singles or young couples. The 57m² of the layout are used here optimally for two ideally-proportioned rooms, a balcony with double doors, a kitchen with practical storeroom and a comfortable bathroom with bathtub. A long hallway leads onto all rooms of the apartment and makes it the perfect refuge for demanding city dwellers.